Unboxing: Marvel Legends Typhoid Mary (Monster Venom BAF) – AiPT! A decent toy, but is it good? 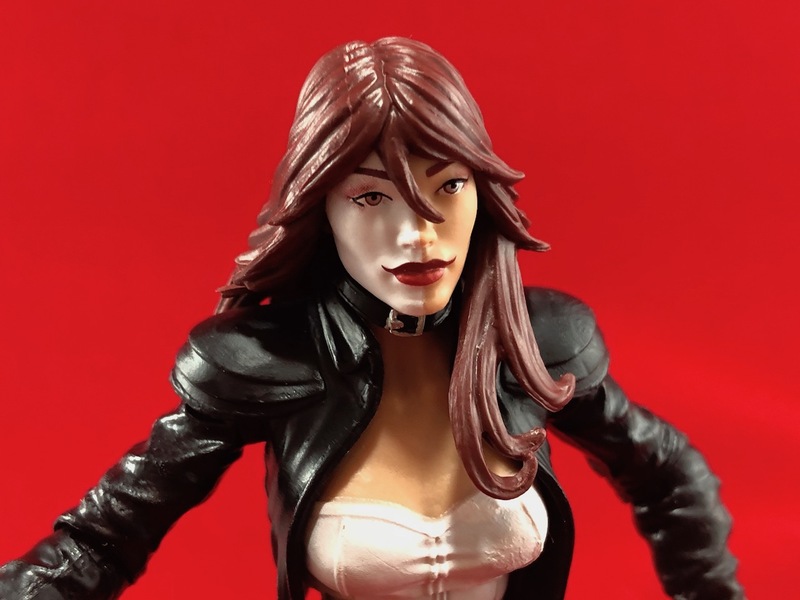 As we work our way through the Hasbro Marvel Legends Venom line (Monster Venom BAF wave) first unboxing Spider-Ham, and then Carnage, we have ourselves, Typhoid Mary. This is a figure Daredevil fans have wanted for ages and while it’s strange it is in the Symbiote Venom wave it’s still nice to have. Check out the unboxing below. As you can see I’m not super hyped for this toy. I never needed it and in all honesty, I got it so I could complete the BAF. That said, I can see the quality in it. The sword, in particular, is very cool and the face paint on this figure is very good. The eyeshadow specifically is rather cool. The tear in her legging is a tad cheap looking though and I really don’t want or need this toy. My guess is it will be very easy to find in stores. Or, if you don’t leave the house like me, you can buy it on Amazon right now. A good toy though I don't think it's a figure anyone is dying to own since it's a c-list villain. A figure I never thought I'd own or want. Cuz I don't! The paint job on the leg is a little fake looking.